Seven months after their first go-round, Andre Ward of Oakland and Sergey Kovalev of Russia will do it again June 17 at Mandalay Bay in Las Vegas (on HBO pay-per-view). The two squared off this past Nov. 19 for Kovalev’s three light heavyweight world titles at T-Mobile Arena in Las Vegas. Ward won a narrow decision by three scores of 114-113. Afterward, Kovalev’s promoter Kathy Duva bemoaned all the clinching Ward was allowed to do. Kovalev thought he won, and wasn’t happy that all three judges were Americans. Ward (31-0, 15 KOs) on Tuesday seemed to answer to all that in a brief statement. Kovalev (30-1-1, 26 KOs) is stoked at the chance to get his titles back. If you have followed the career of Andre Ward, it’s easy to tell how well prepared he has been for all of his fights. That, he says, is because even though the fighters are different, his level of concentrations is the same. “Regardless of who I’m fighting — (Sullivan) Barrera, (Alexander) Brand, (Sergey) Kovalev, whoever — there’s always different game plans and nuances when it comes to preparation and training,” said Ward, who Nov. 19 will challenge Kovalev for his light heavyweight belts at T-Mobile Arena in Las Vegas (on HBO pay-per-view). “The reality of it is, every fight is a must-win for me. I prepare for each fight as if I’m facing the most difficult opponent of my career. That’s always been my approach, and I think you’re playing with fire if you don’t adopt that mentality in this sport. Ward, 32, is from Oakland. He’s 30-0 with 15 knockouts. Kovalev, 33, is from Russia. He’s 30-0-1 with 26 knockouts. Sergey Kovalev, the vicious light heavyweight champion from Russia, is unquestionably a top pound-for-pound fighter. He’s No. 2 or No. 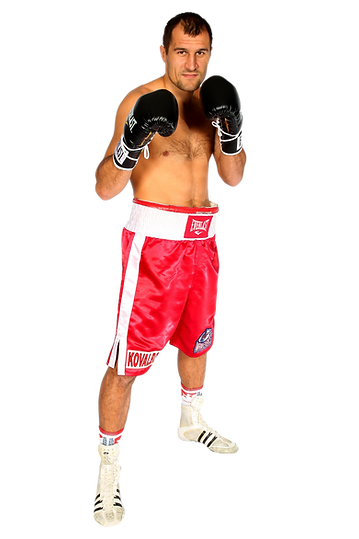 3, with Roman “Chocolatito” Gonzalez No. 1 and Gennady Golovkin either No. 2 or No. 3. Kovalev on Nov. 19 will be defending his belts against Andre Ward at T-Mobile Arena in Las Vegas (on HBO pay-per-view). Since Ward is a top 5 pound-for-pound fighter, suffice to say that a victory for Kovalev would make his case stronger for being anointed No. 1. He wouldn’t mind that a bit. Kovalev, 33, is 30-0-1 with 26 knockouts. Ward, 32, is 30-0 with 15 knockouts. HBO’s “My Fight: Kovalev/Ward” will debut on Oct. 29. The documentary will take an in-depth look at the upcoming light heavyweight title fight between champion Sergey Kovalev and Andre Ward that will take place Nov. 19 at T-Mobile Arena in Las Vegas (on HBO pay-per-view). Kovalev, of Russia, is 30-0-1 with 26 knockouts. More importantly, he is 9-0 with seven knockouts in world-tltle fights. Ward, of Oakland, is a former super middleweight champion with a record of 30-0 and 15 knockouts. He went 7-0 with just one knockout in super middleweight world-title fights before moving up to light heavyweight in 2015. The documentary will air several more times on HBO as well as HBO2 leading up to the bout.